Just as good nutrition helps you stay physically fit, a diet of God's word helps keep you spiritually healthy. 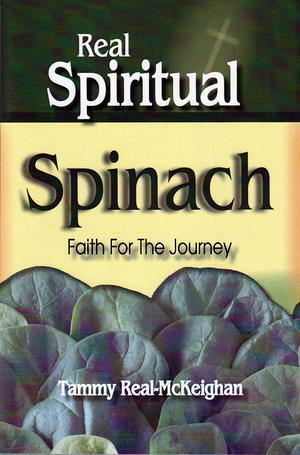 In "Real Spiritual Spinach," Tammy Real-Mckeighan dishes up encouraging, faith-boosting stories that show how the Bible applies to people today - providing comfort, guidance and Godly wisdom. Newspaper readers have grown to love her weekly columns, which she's compiled in an easy-to-read book, designed to be powerful, poignant and practical.